I remember the commercials from when I was younger – “Milk! 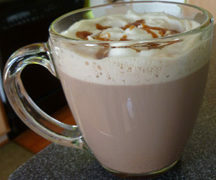 It does a body good!” Growing up, I drank a lot of whole milk, but since then I’ve migrated to 2%. It’s important to me to make sure that I get the calcium that milk can provide. Healthful dairy products go beyond just milk. Eggs, cheeses, and yogurts are all great dairy products that can provide important vitamins, minerals, and even bacteria. Most people think that dairy can only be enjoyed indoors. Since June is National Dairy Month, I thought I would accept the challenge to take the dairy outside of the kitchen. This afternoon we packed up our gear and headed out to a local park. 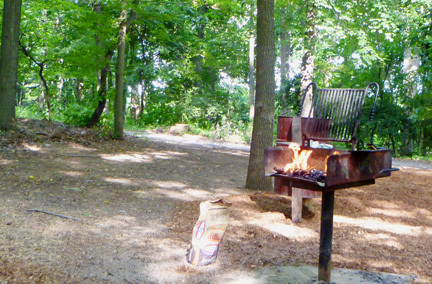 We set-up shop in Picnic Area #3 and immediately started the grill. After the charcoal was lit, I was able to start setting out our appetizers. Chips, carrots and ranch dip (homemade ranch dip), and Bacon Cheddar Deviled Eggs. I had put the eggs into a container at the bottom of the “cold” bag to make sure the eggs stayed nice and cold. The ranch dip hung out near the top of the ice bucket with the carrots until it was eating time. Before the dogs and burgers were off the grill, the dip had been dipped and the eggs had been eaten. Here’s a before/after shot of the dairy-based foods that were there one minute and resting in people’s tummies the next. With the weather being what it is (perfectly warm,) now is a great opportunity for you, your family, and your friends to pack up some food and head out to your local park or picnic area. In our case, this was a tremendous treat for us. It took minimal preparation and I was easily able to find all the ingredients I needed from Safeway. As you can see from the food, it was quite easy to pack a few dairy products into our picnic baskets. 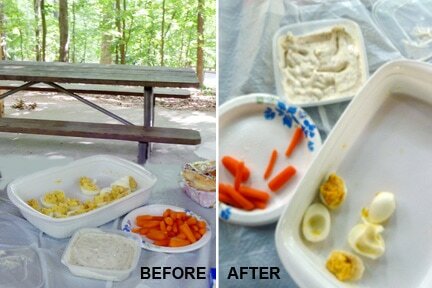 Interestingly enough, the eggs and the dairy-based dip were eaten more than the standard picnic snacks that we brought. It seemed like everyone appreciated the rich flavors that theses dairy treats provided. In packing more dairy into your picnic baskets during National Dairy Month, make sure you check out the special Pack Your Picnic with Dairy sweepstakes where you can instantly win a $25 gift card and be entered to win a trip to a US National Park of your choice. I hope this post has inspired to you try to integrate more dairy products into your outdoor activities. They offer some delicious variety to standard snack-fare that your friends and family will love. For additional recipes, you can checkout some of the Safeway recipes. Also make sure you check out these special National Dairy Month coupons to help you save on some of your favorite dairy products. Disclaimer: This post consists of my (and/or fellow tester) opinions only. Your experiences may be different. This project has been compensated as part of the June Dairy program for Safeway. This did not affect the outcome of this review. played the game and entered the contest–TY! Yum. 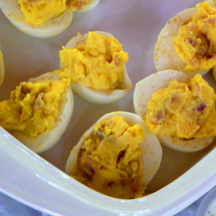 Those deviled eggs look so good. They were surprisingly good. 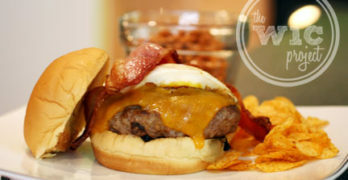 I usually don’t even eat deviled eggs…but the eggs with bacon..and cheese? DELISH!